In stock. Usually leaves the warehouse in 1-2 business days. Birds Choice designs and manufacturers the finest, highest quality professional outdoor products to enhance your yard and bring birds home. 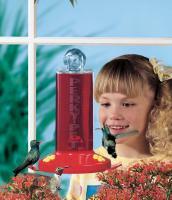 All of our products are based on thorough research in backyards of bird experts. The National Wildlife Federation requires 4 things in a yard to have it named as "Certified Wildlife Habitat." They are food, water, cover and places to raise young. Products from Birds Choice can help you fill those needs. 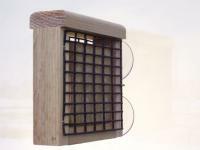 Our bird feeders carry 9 different patents that are used to ensure the best bird-friendly and consumer-attractive innovative products available on the market today. 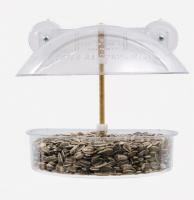 We promote healthy birds by making our feeders easy to clean. Birds Choice belongs to the Wild Bird Feeding Industry's Quality Standards Program which establishes criteria for feeder construction, labeling and consumer education. 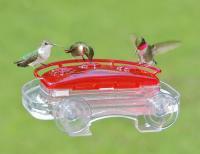 Why buy from Backyard Chirper? Extraordinary Customer Service - We don't just sell bird feeders, we eat, sleep and breathe birding. Call us and a real person will answer the phone. 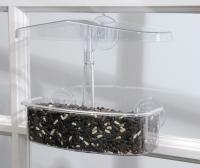 Easy Returns for 30 Days - If your birds aren't delighted with your feeder, then neither are we. At Backyard Chirper, we offer a 30-day no-questions-asked money back guarantee. Over 7,000 Birding Supplies in Stock - We carry a huge selection of birding gear from the world's best brands.